The destruction of New York's World Trade Center unleashed one of the gravest environmental catastrophes in U.S. history. 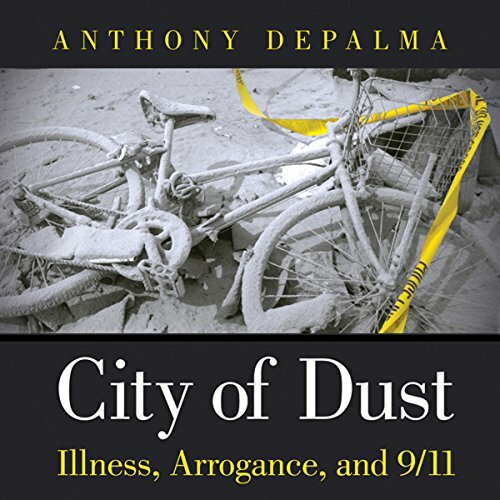 Now, former New York Times Ground Zero reporter Anthony DePalma presents a full accounting of the disaster that followed 9/11. He separates myths from reality, reveals decisions that destroyed public trust, shares victims untold stories - and helps us to ensure that this never happens again. This was a compelling title an on the surface an amazing insight to a little reported aspect of 9/11. there is lots of information, fact and figures and things you would'nt know about. The book is about the initially unseen and unrecognised consequences of how the City handled dealing with this terrible incident, what happed to those who searched the site, lived near by and generaly were the unrecognised victims. Unfortunately it became repetative and if you were reading it there would be lots you would skip to get to the point. Can't do that with audio as you may miss an important bit. A real shame that being consise and to the point is not the authors skill so lost me and i never finished it. However if you love facts and figures and enjoy the laying it on thick to make sure you get it then this is the book for you.